The Force That Through the Green Fuse …. I am so easily side-tracked and waylaid from my plans for any given day, particularly by the mysterious and beautiful effulgence of the natural world–and (no surprise to my fellow bloggers here) by poetry. 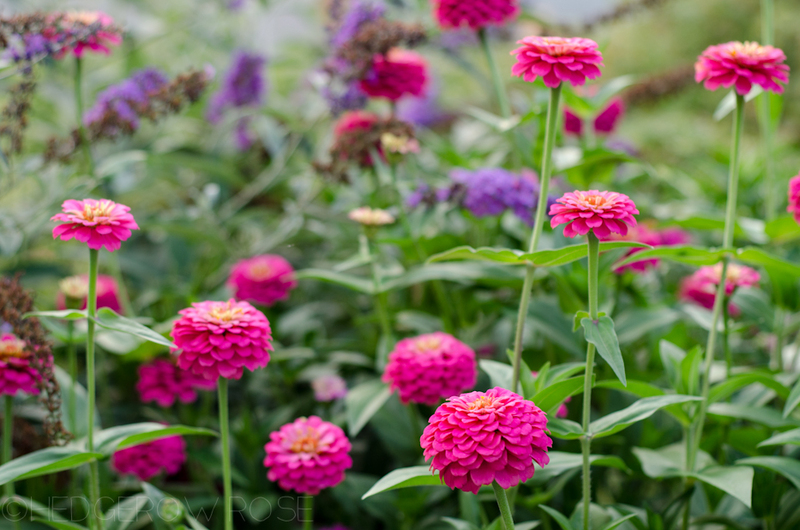 This morning a dew speckled massive blob of hot pink petals, a zinnia the size of a softball as a matter of fact, stopped me in my tracks as I was on my way back from scooping up the equally damp Times at the foot of my driveway. What is this? said I. What a gorgeous delicate wad of glorious color! I leaned in for more myopic scrutiny. I’d planted this miracle myself with a tiny seed and here it was roaring out of the ground on a slender fourteen inch stem. The essential unity of all living things, their mystery, transience, all of it powered by, brought into being, and cast down at last by a force we cannot apprehend but in the fleeting particular instance (a flower, a sunset, a lover’s kiss) and only momentarily, for the weight of the matter is too great for our minds to hold for long. Thomas’ stature among literary critics and the gate-keepers of the canon has ebbed and flowed, though sadly in the main because of his wild man drunkard persona, not from any serious deficiencies in his work. This strikes me as rather ironic and unfair in view of the legions (haha) of wild man drunkard poets who’ve escaped similar censure. Apparently he could be particularly obnoxious in his cups and went through a number of times when he came across as hopelessly dissolute. Even so his poetry has survived by virtue of its sheer energy, inventiveness and amazing linguistic virtuosity. His gift was great and perhaps the burden of it, its “force,” was sometimes too great for him to bear. This entry was posted in Literature, poetry, writing and tagged Poetry Foundation. Bookmark the permalink. 6 Responses to The Force That Through the Green Fuse …. I’ve always loved this poem. Thanks for posting it. Want to talk to you about doing some audiobooks, what’s the best way? Email me at LAHOWLETT@yahoo.com with your questions/ideas. Do you want to narrate or have your work narrated? Beautiful poem. When I’m reading Thomas, I can’t imagine anyone in the world writing any more beautiful sentences, lines, phrases, than Thomas. Yet he’s no run-of-the-mill-on-the-floss sensualist, and the beauty and texture of his work always speaks to its meanings. it’s dreamy language but it’s solid, too. How does he do it? You’re asking ME that question? Haha. It was a gift he had that he loved and cultivated, I would have to say. Poets love words, the sounds and the allusiveness of words.